Most of the marvels of the universe are invisible to us without technological assistance. Visible light is only a small slice of the electromagnetic spectrum, which ranges from tiny, high-energy gamma rays to long radio waves. So, imagine if you could put on radio glasses to view a range of light that normally can only be seen with the most sophisticated telescopes. What would you see? You might be able to peer through dusty clouds and view the beginning stages of star formation or watch the intermittent lighthouse bursts from pulsars, if the neutron star happens to be pointing towards Earth at the proper angle. What would it be like to see an array of energetic particles dancing around the Sun’s corona? On September 7, 2017, the Karl G. Jansky Very Large Array (VLA) pointed its antennas toward the northern sky and began one of the largest all-sky radio observations in 40 years. 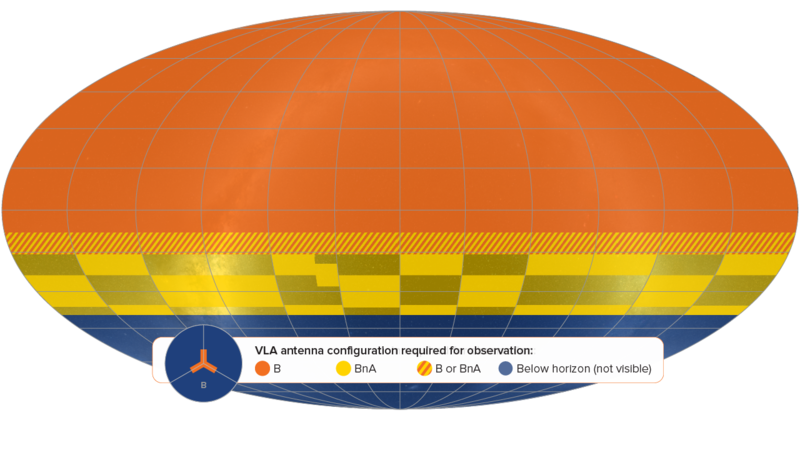 From its vantage point in New Mexico, the VLA Sky Survey (VLASS) will map 80 percent of the sky in 3 phases over 7 years and is expected to catalog approximately 10 million radio sources. 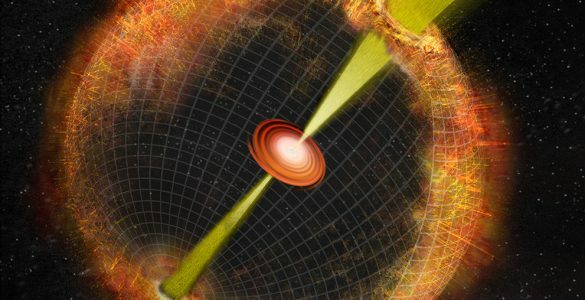 The survey will collect data from powerful, cosmic sources that will allow the scientific community to image supernova explosions, gamma-ray bursts, and the collisions of neutron stars that are obscured from visible-light telescopes by thick clouds of dust. 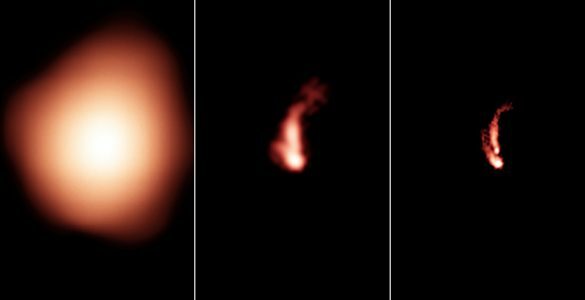 The VLA’s ability to see through dust and clouds will make the survey an important tool in the discovery of new radio objects. 9/7/2017 - Click the right arrow to progress with the survey and visualize the multilayered view of sky we'll be observing over 7 years. 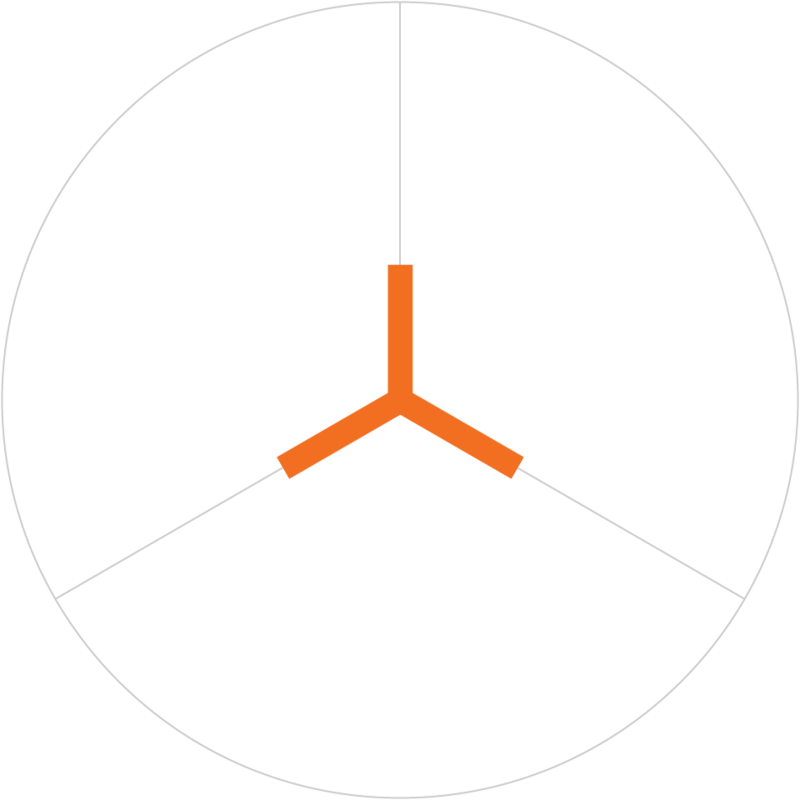 The first observations in configuration B. As the sky survey progresses and we collect more data, we'll be able to compare this view 3 times over! Hybrid Configuration BnA. For observing the southern-most regions of the sky, VLASS uses a configuration that has an extended northern arm. From the point of view of the southern sky, this northern arm is fore-shortened, so southern observations made with the BnA configuration are similar to more northern observations made with the B configuration. There are 3 epochs over 7 years. We split each epoch into four different observing sessions (two with the B configuration and two with the BnA configuration). Beginning of Epoch 2. We expect to discover powerful cosmic explosions, such as supernovae, gamma ray bursts, and the collisions of neutron stars. This new cycle will allow us to monitor any change in the radio sources. All data is publicly available as soon as it passes quality assurance. At this point in the survey, we've viewed 80 percent of the sky twice over. Beginning of Epoch 3. We have two reference Epochs in which to compare radio sources. THE END! Now, we have 3 complete, in-depth views over 80 percent of the sky. Data from all three phases will be combined to make even more detailed images. Sky surveys have been integral to astronomy for two thousand years. As far back as the 2nd century BC, Hipparcos and astronomers of the Han dynasty observed and recorded astronomical phenomenon and seasonal celestial changes from the night sky. 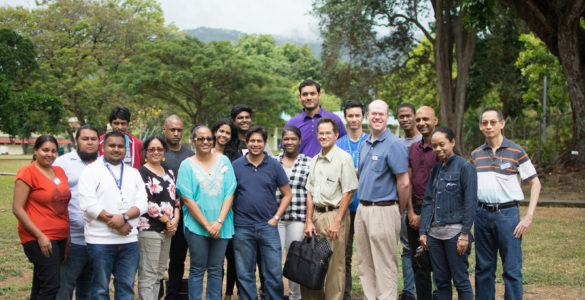 Sky surveys are a way to map, in a systematic way, the universe and its constituents parts, opening up the observational impact of how celestial objects, especially those beyond our solar system, change with time. 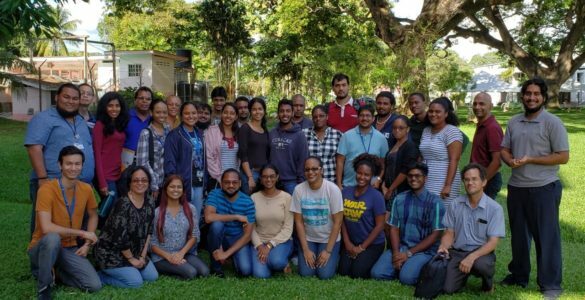 Within the last century, as technology has allowed for the expansion of observations beyond the traditional visible wavelength window, sky surveys have proved to be a fundamental part of multi-wavelength astronomy. The Very Large Array Sky Survey (VLASS) represents our third radio survey project in the last twenty years. The VLA has undergone a complete technical transformation since our last two surveys: the NRAO VLA Sky Survey (NVSS) and Faint Images of the Radio Sky at Twenty-Centimeters (FIRST) in 1992. 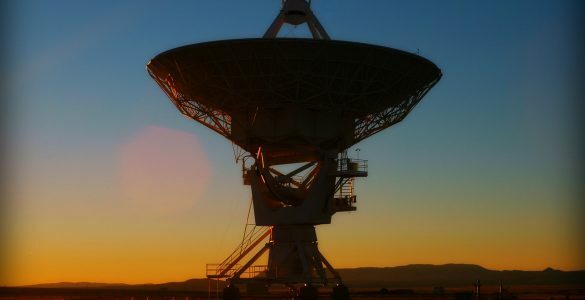 From 2001-2012, the original electronic system, designed and built during the 1970’s, has been replaced with state-of-the-art technology that vastly expanded the VLA’s observing capabilities. This major upgrade has transformed the VLA into a completely new scientific tool. 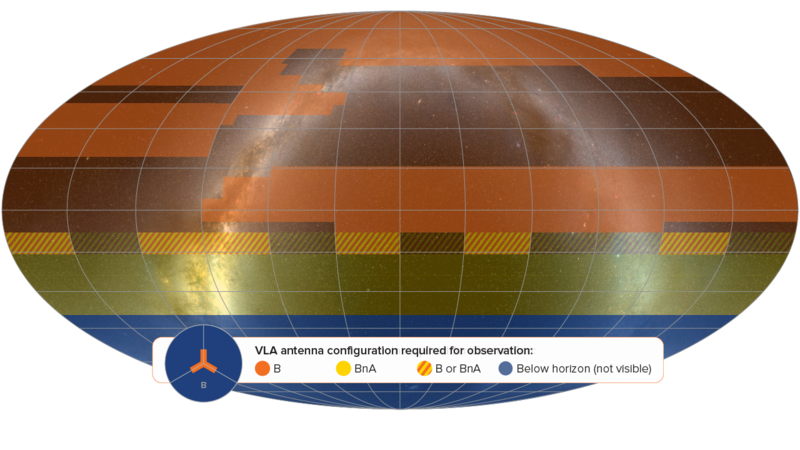 Our next-generation sky survey will harness the tremendously improved capabilities of the VLA, resulting in a unique and extremely valuable tool for frontier research over a diverse range of scientific fields. VLASS is designed to produce a large collection of radio data available to wide range of scientists within the astronomical community. Our science goal is to produce a radio, all-sky survey that will benefit the entire astronomical community. 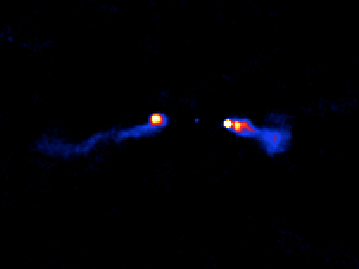 As VLASS completes its three scans of the sky separated by approximately 32 months, new developments in data processing techniques will allow scientists an opportunity to download data instantly on potentially millions of astronomical radio sources. This data from all three epochs will be combined to make even more detailed radio images, creating the largest-ever celestial radio census. Scientists will be able to compare images from the individual observation cycles, allowing for the discovery of newly-appearing sources or short-lived (transient) objects. Fundamentally, astronomy is about exploring — making images of the sky to see what is out there — and our VLA sky survey is a new and powerful resource for this exploration. The iconic “Y” shape of the VLA has a specific function. The wider an array, the bigger its eye is, and the more detail it can see out in space. The VLA’s unique shape gives us three long arms of nine telescopes each. It also gives our scientists the flexibility of stretching the arms when we need to zoom in for more detail. Click on a configuration below to learn more about it. The antennas in the Very Large Array are used like the zoom lens in a camera. When they are in the B configuration, the telescopes extend over 11 kilometers (7.08 miles) along the length of each arm. In this configuration, we have very sharp resolution and can see great detail. The BnA is a hybrid configuration. The north arm of the array is extended out into the A configuration location. 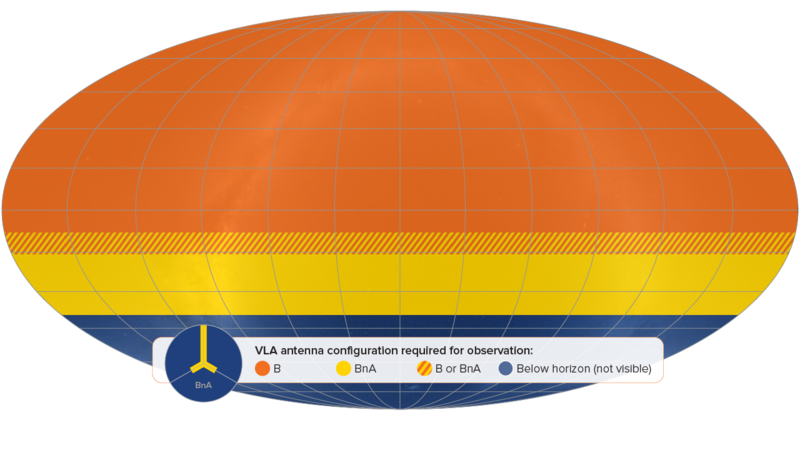 This allows the VLA to image objects close to the southern horizon with the same sensitivity as those overhead. Check out these videos for more information on the different VLA configurations and the amazing machines that move the 230-ton antennas around. Fanaroff-Riley 1 and 2 (FR-1 and FR-2) labels come from a classification system developed by B.L. Fanaroff and J.M. Riley that is used to identify radio galaxies with active galactic nuclei based on the brightness of their radio emissions. FR-1’s are radio sources whose luminosity decreases as the distance from the central galaxy host increases and can be signposts for galaxy clusters. FR-II’s are sources that exhibit increasing brightness in the outer lobes. A new, all-sky survey uses the expanded capabilities of the VLA to produce a unique and valuable resource for astronomers of all specialties.